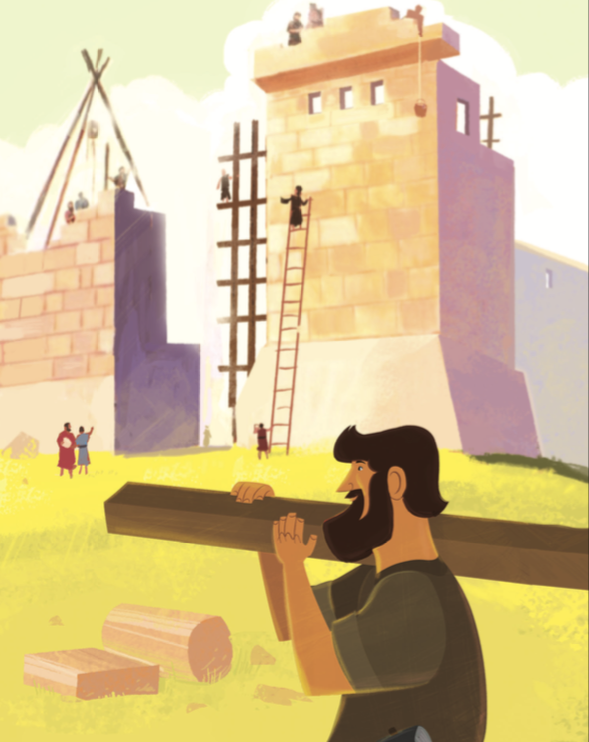 This week in The Gospel Project® for Kids, our journey takes us to Jerusalem as Nehemiah led God’s people to finish rebuilding the city walls. City walls and gates were very important in Bible times. Walls were built to be several feet thick. They protected a city from its enemies and provided a sense of safety and security. Gates were the center of city life, the meeting place for commercial and social transactions. Without these structures, the surviving remnant of God’s people struggled and was vulnerable to attack. Nehemiah traveled from Persia to Jerusalem to lead the effort in rebuilding Jerusalem’s walls. Nehemiah’s leadership was effective. Nehemiah 3 describes all the people working together to rebuild the gates and walls. But it wasn’t long before Nehemiah met opposition. Sanballat and Tobiah were local governors who strongly opposed Nehemiah’s helping the Jews. The two mocked God’s people and tried to discourage them. Sanballat and Tobiah planned a surprise attack against God’s people, but God’s people found out. They kept working—with a trowel in one hand and a sword in the other. God’s people completed the wall in just 52 days. Note how their enemies reacted: “All the surrounding nations were intimidated and lost their confidence, for they realized that this task had been accomplished by our God” (Neh. 6:16). 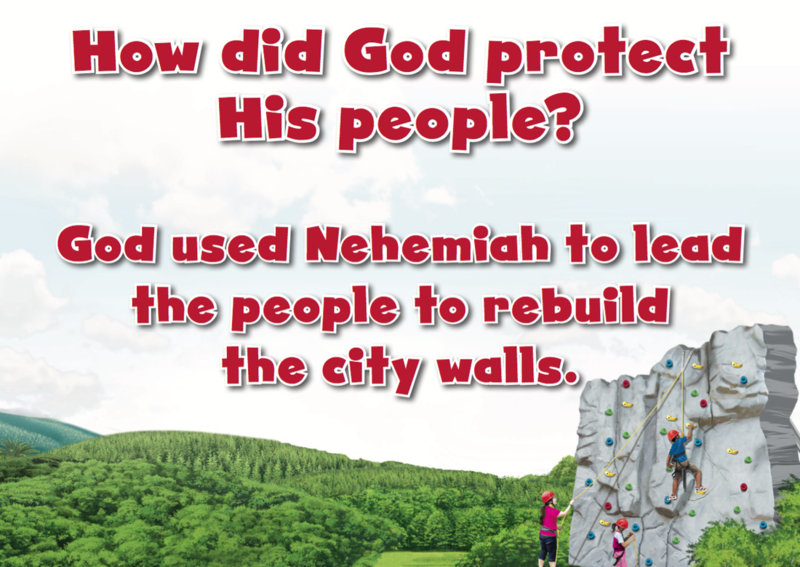 Nehemiah led the people to rebuild the walls around Jerusalem to protect them from their enemies. Jesus came to protect us from our enemies. He died on the cross and rose from the dead to rescue people from sin and death. Nehemiah (nee huh MIGH uh) was in Jerusalem to help the people rebuild the city walls. The people started working together to x the walls and the burned-down gates. The walls and gates had special names. Some of the people worked on the Fish Gate. The Fish Gate was the entrance to the sh market. Some people worked on the Sheep Gate; this gate led to the place men gathered to sell sheep. Others worked on the Valley Gate, the Old Gate, and the Horse Gate. The people worked on the walls, and other workers repaired the towers along the walls. The workers put in doors, bolts, and bars. They cut stones and lifted them into place on the wall, and they lled in gaps and holes. All around the city, people worked side by side. Soon the wall was half as tall as it had once been! 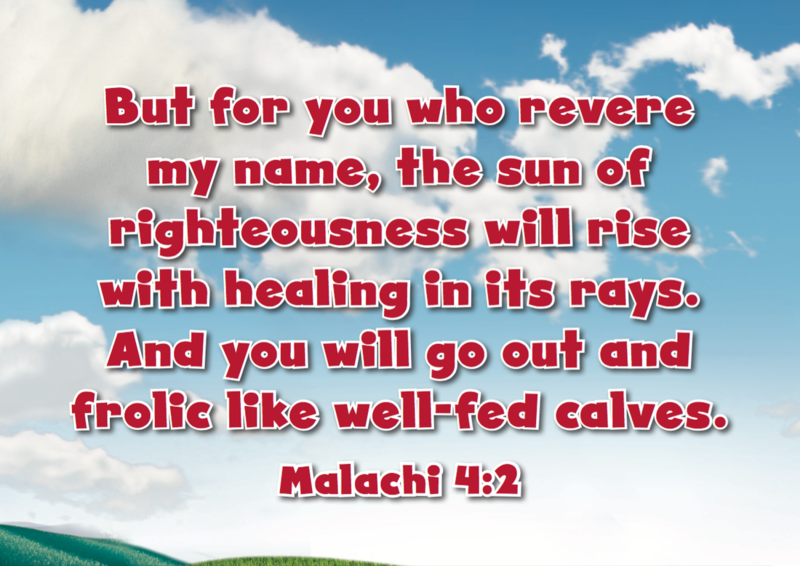 Nehemiah reminded the people that God was with them. “Do not be afraid. God is great and powerful!” Nehemiah said. “Be ready. If our enemies attack us, God will ght for us!” Sanballat and Tobiah could threaten God’s people, but they couldn’t make God’s people stop building. Sanballat and Tobiah were not in charge of rebuilding the wall; God was! So God’s people went back to work. Some stood guard with weapons, and others worked on the wall. Some men worked with one hand and held a weapon in the other. They were always ready to fight, just in case. give in to their enemies. The people kept working very hard. In just 52 days, the wall was complete! The gates were repaired, and the wall was restored. When all of Jerusalem’s enemies heard that the wall had been rebuilt, they were afraid because they knew God was with His people. Christ Connection: Nehemiah led the people to rebuild the walls around Jerusalem to protect them from their enemies. Jesus came to protect us from our enemies. He died on the cross and rose from the dead to rescue people from sin and death.